These two furry friends stuck together through thick and thin, as well as when they were abandoned. The story of their lives and how they were rescued will make your heart melt. Who doesn’t love dogs? Most of us let out an “awww” anytime we see a picture of puppies or a dog doing something silly or cute. Anyone who owns a dog could tell you how much joy their furry friend brings into their lives. Dogs are known for being attached and loyal to their owners and they are also known for how much happiness they can bring into a home. So when a dog is abused by its owner, we ask ourselves, how anyone could ever treat an animal poorly? The abuse of animals is something that no human being with a heart approves of. It is a horrible thing that affects more animals than we would like to think. Whether an owner cannot properly care for their pet or they simply choose to neglect them, the harming of helpless animals is simply unacceptable. Thankfully there are many shelters and organizations that try to help animals who have been abandoned or abused. These shelters often search out abandoned animals and rescue them and work to give them a better life. 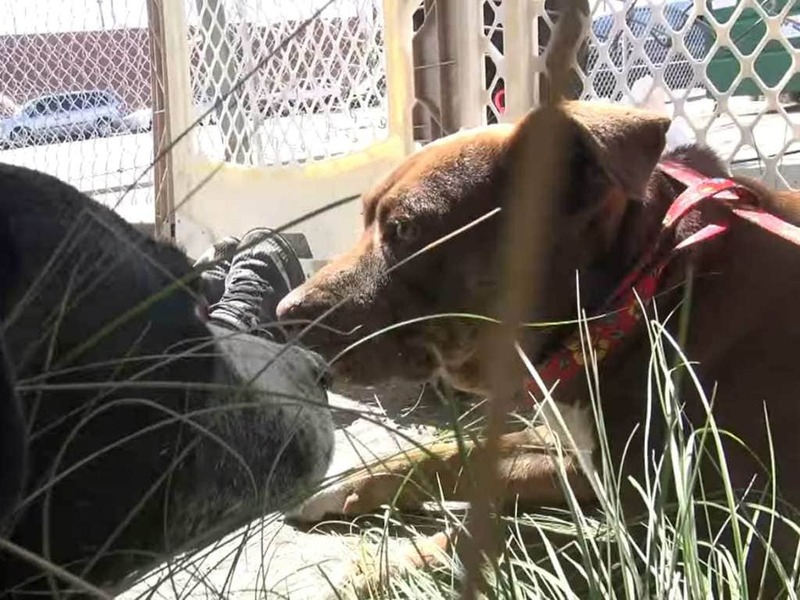 This was the case for these two doggie best friends who were abandoned by their owner. 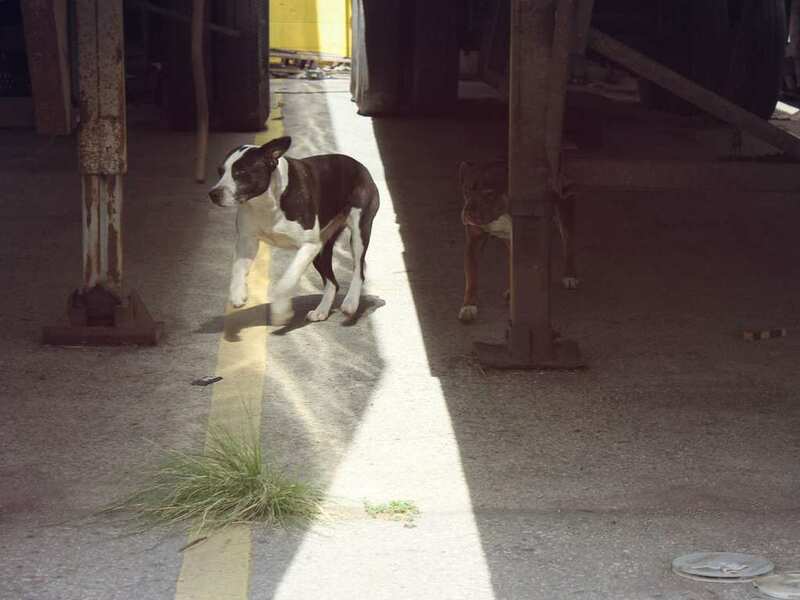 The dogs were forced to live on the streets and struggled to survive and things were looking bleak for the pair. But everything turned around later for the pups when the kindness of a stranger led to their ultimate rescue. It is beautiful to see how these two friends remained by each other’s sides. 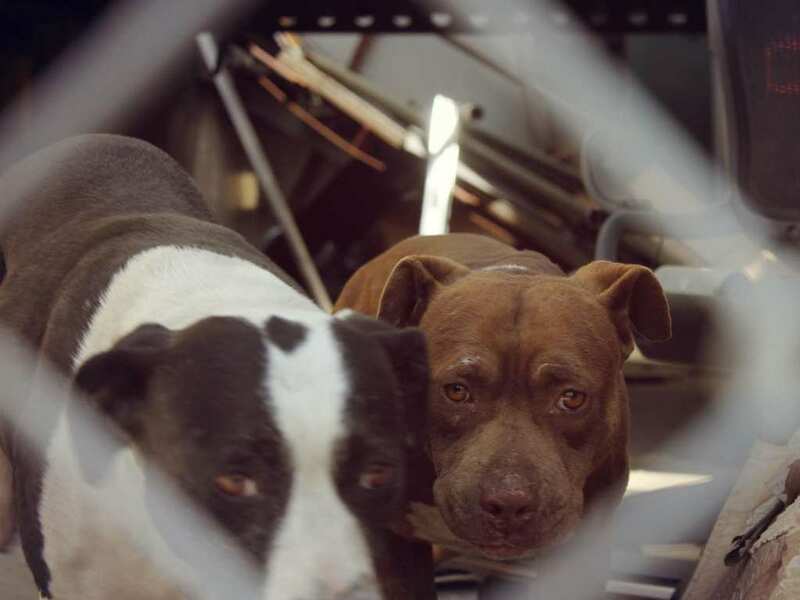 The dogs stuck together through their whole ordeal and made their home base at a truck yard in LA. They were starving and alone until a woman who worked nearby decided to feed to pair. Understandably, both dogs were not trusting of humans as they had just been abandoned and as a result they relied on each other. They were even wary of the team who eventually came to save them. The dogs teamed up in order to look for food and eventually became inseparable. They were by each other’s sides as they attempted to navigate the tumultuous existence of being a stray dog. The friends helped one another in the search for food scraps and water and fought to survive. As they were domestic dogs, they were not accustomed to fending for themselves but they did the best they could. Many people believe that since dogs are animals, they should be able to care for themselves in the wild or in the streets. This is not the case, however, as domestic dogs have been bred either as pets or guard dogs. They are used to being fed and taken care of by their owners and while they do have instincts of survival, those have been considerably diminished after hundreds of years of breeding. This has created a problem of countless stray and abandoned dogs starving to death. 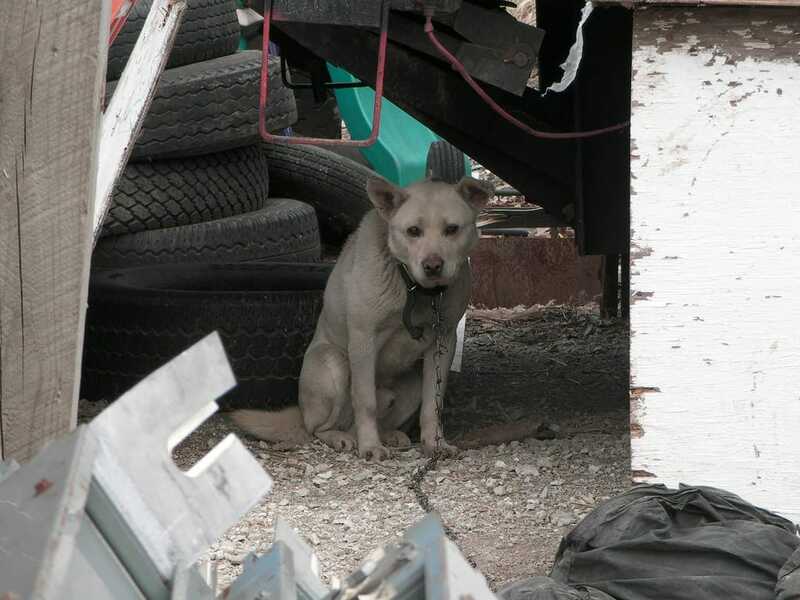 As we mentioned before, the furry friends set up a sort of home in a truck yard and began sleeping there. 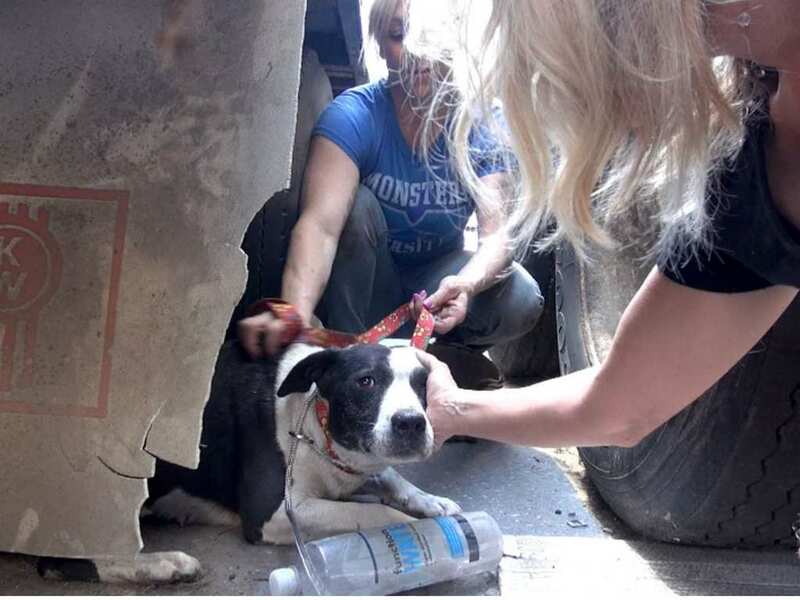 After they had spent some time there, a woman who worked in the yard noticed them and knew that she could not stand by while they suffered, She started bringing the dogs food and although she was unable to bring them home with her, she made sure that they were fed and looked after. The woman was a sort of guardian angel for the dogs who had no one else to rely on. She continued to bring them food for 6 months and the dogs did not starve during that time due to the woman’s kind heart. 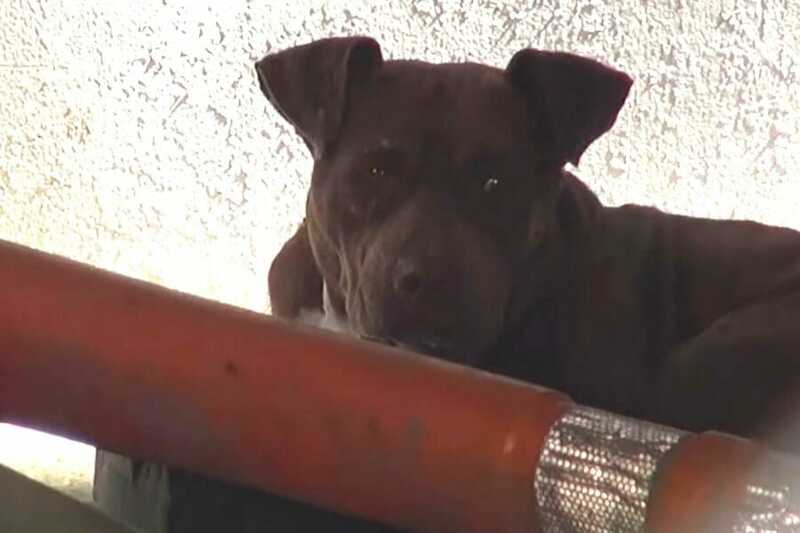 However, something was about to change in that woman’s life that would no longer allow her to help her canine friends. The dogs would soon not be able to count on her anymore. 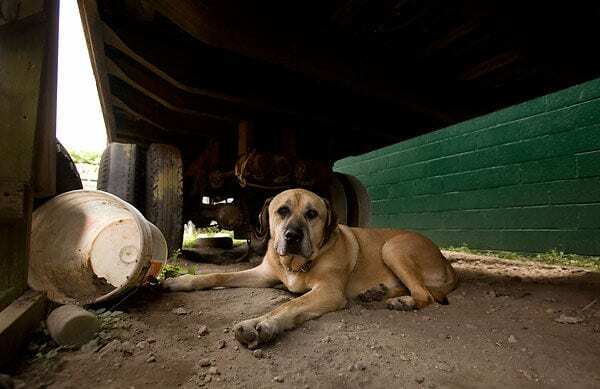 The woman had to move to another place that was too far away from the truck yard and she would no longer be able to feed to dogs whom she had grown so close to. She wondered what would happen to them after she moved and she hoped that another passerby would continue to feed them. However, she could not ensure their care. The woman had to move on, and she knew the dogs would be left to fend for themselves yet again. The thought of leaving the dogs alone put a large weight on the woman’s conscience and she knew she had to do something to help them. She decided to search for a home or rescue that would be able to take the two dogs in. She did quite a bit of research and eventually discovered an animal rescue organization, Hope for Paws. 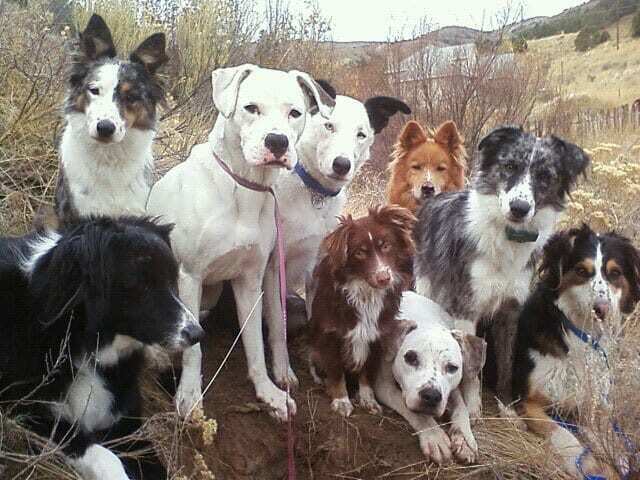 She believed that the group might be able to help the struggling dogs. The woman was desperate and contacted the organization in hopes that they would help the stray dogs. She knew that the organization had a mission of helping to care for animals and ensuring that they get the medical aid they needed. The organization also works to help find abused or abandoned animal new and happy homes. But the woman still wondered if they would be able to take on the case of the dogs that lived in the truck yard. 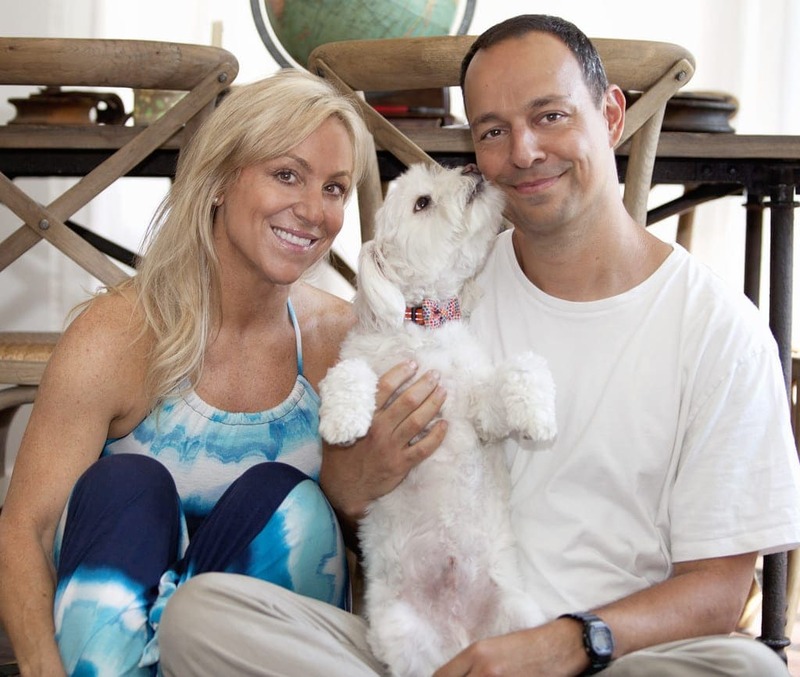 When the woman contacted Hope For Paws, she was relieved to find out that one of the founders, Eldad Hagar, was more than willing to help the pair of pups. 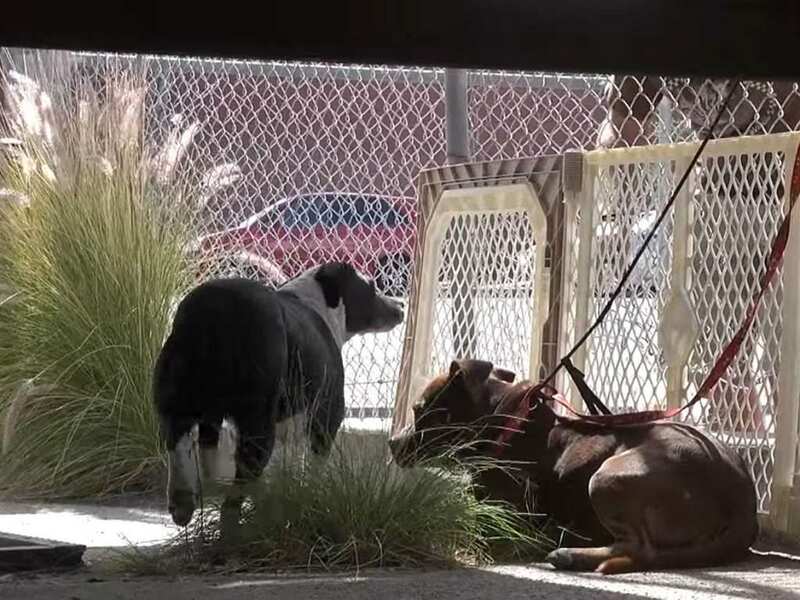 He drove out to the truck yard to meet the dogs and to figure out what the best plan was to rescue the pair as he knew they would be reluctant to have human contact with people they did not know or trust. However, to let them continue to live on the streets was not an option. Eldad’s organization was international, as involved in it were volunteers from all over the world, including: Australia, Costa Rica, and the U.K. He organized his team members and put together a strategy to get the dogs to safety. The team knew that the dogs would be mistrusting of any human, which added another layer of complication to the rescue mission. It was not going to be easy but it had to be done. 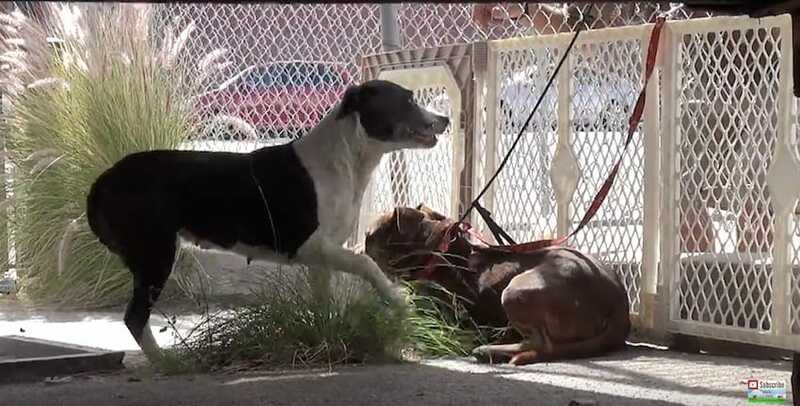 Besides the woman who came to bring them food, the dogs had not had human contact in quite a while and their last contact was from their former owners who had abandoned them. 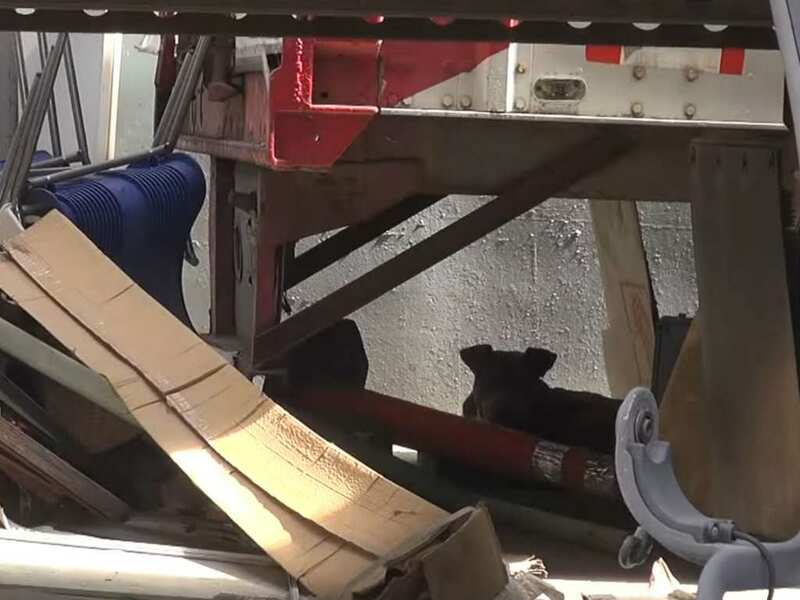 When they arrived to the truck yard, the volunteers tried to approach the dogs but every time they did, the dogs ran away from them in fear. The team had to quickly change their plans in order to get the dogs out of the truck yard. 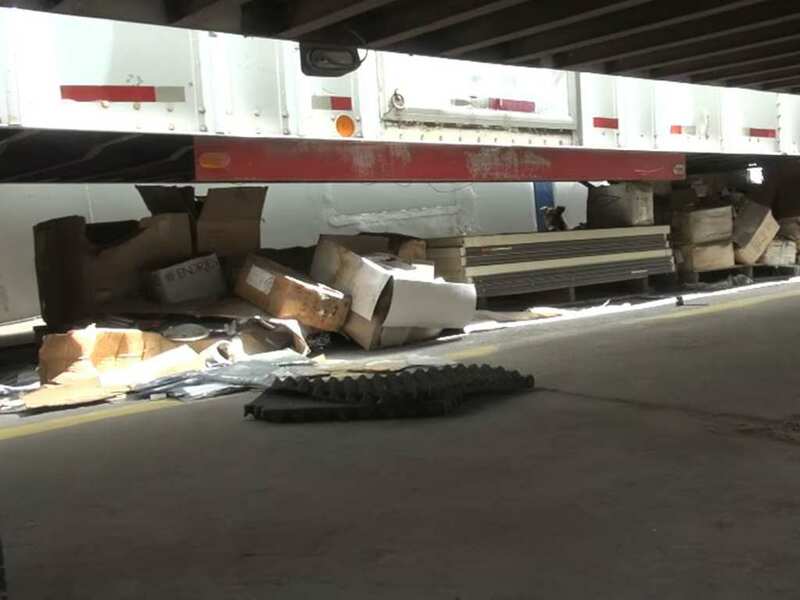 The team enlisted the help of the man who owned the truck yard in order to keep the dogs from escaping. The team devised a more complicated plan to trick the dogs into coming with them. They put a barrier in front of the exit of the yard so that the dogs could no longer run away. After that, the volunteers decided to surround the pair and earn their trust over time. The team first focused on the boy dog as he was not showing signs of anger or aggression. He seemed calm but also apprehensive of the humans that surrounded him. He ran away from the volunteers a number of times until they finally caught him and were able to get a leash around his neck. He still seemed fearful of the team but let them approach him and did not struggle to get away once apprehended. The team had been successful in catching one dog but they were still working on the second one who was female. After seeing her friend get a leash on him, the female was much less cooperative and calm. By now, the first dog had calmed down and was even letting the volunteers pet him! But the team had to shift their focus into finding his friend and putting a leash on her. Easier said than done. The team tried their best to catch the female dog but to no avail. 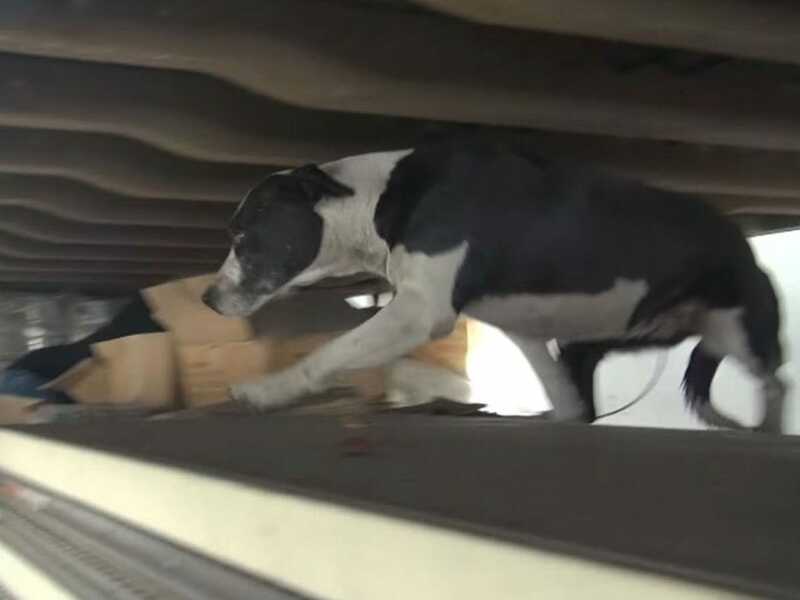 She was sending them on a wild chase all around the yard which had them ducking under trucks and jumping over boxes to try and catch her. Their efforts were not producing results and their endeavor seemed futile. The team forgot about the one that the dog loved. Her only friend and companion. As soon as the female noticed that the other dog was tied to the fence, the pup immediately ran over to him. That was when the team made their final move. She was one tough cookie! Even after being surrounded by Eldad’s entire team, the female still put up a fight and escaped from them yet again. Their chase continued until she relented and gave in after seeing that the volunteer team was not giving up. 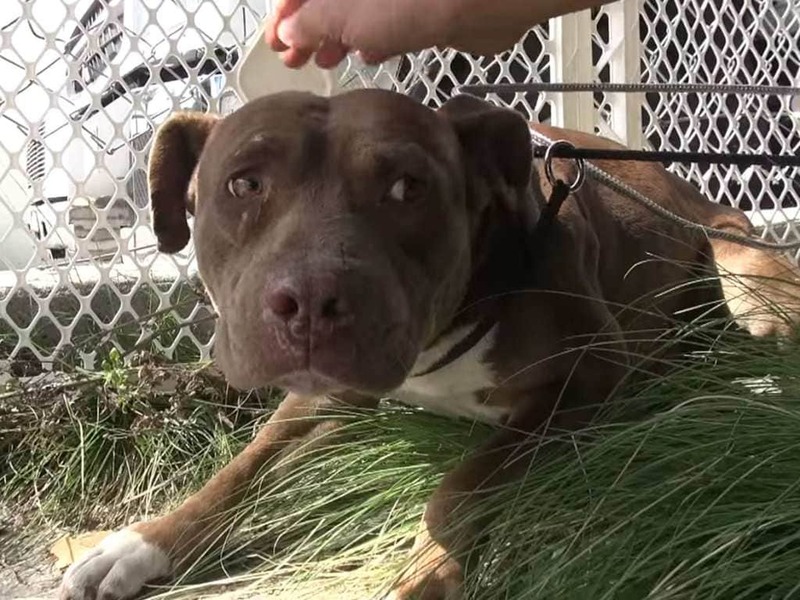 She let them put a leash on her, and the team brought her back to her friend who was sitting by the fence. They were finally rescued and they were about to be taken out of the truck yard. While the dogs were very confused about the whole situation, they did not attack or lash out at their captors and eventually cooperated. They were clearly docile animals but haunted by the past of their abuse, they did not know how the volunteers would treat them. As one could imagine, the dogs might have been thinking the worst and did not want to return to a life filled with abuse. Since neither dog had tags on, the volunteers at Hope for Paws started thinking of name ideas for the pair. They wanted to choose the names of a famous couple who fought challenges in their lives since there was one female dog and one male dog. They settled on Lois and Clark who are a well-known superhero pair. The team first tried to calm Lois and Clark down and then sent them off to be treated in an animal hospital. Unfortunately, both dogs were sent to the hospital in different cars and were away from each other for the first time in at least 6 months. This made both dogs anxious as they were used to being alongside one another. The volunteers tried to calm them on the way to the hospital but both Lois and Clark did not enjoy the ride away from their friend. Their separation, however, did not last too long. The dogs were reunited at the veterinarian’s office where it was discovered that they were both mixed breeds. Clark was part pit-bull and Lois was part Australian shepherd. The vet discovered that they were approximately 2 years old and that they both seemed to be in relatively good health despite their traumatic ordeal. Things were finally looking up for the pair as they received a clean bill of health. Now it was time to find them homes. Once they were reunited at the vet’s office, it was decided that they should be fostered together. Lois and Clark were taken in by LA Animal Rescue and that’s where they would stay until they could hopefully be adopted and find forever homes. 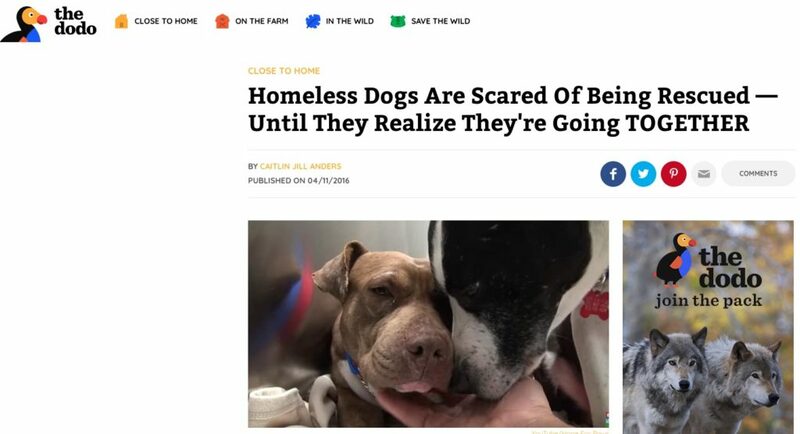 After all that time living outside on the streets, they now got to live indoors, safely, and with a roof over their heads. All that was left was for them to find new homes. Of course, Lois and Clark’s rescue would never have been possible without Hope for Paws. The nonprofit organization is based in California, and was founded by Eldad Hagar. After years of working with other animal rescue organizations, Eldad broke away to create his own so that he could feel the animals he was saving were getting the care they needed. He began filming his rescues and sharing them with the public after someone remarked that his stories sounded unbelievable. Now, his videos have certainly helped bring attention to these animals’ stories. While Eldad and Hope for Paws were the ones who performed the rescue, they didn’t have the facilities needed to house them. The dogs went to LA Animal Rescue, another nonprofit based in the San Fernando Valley of California. 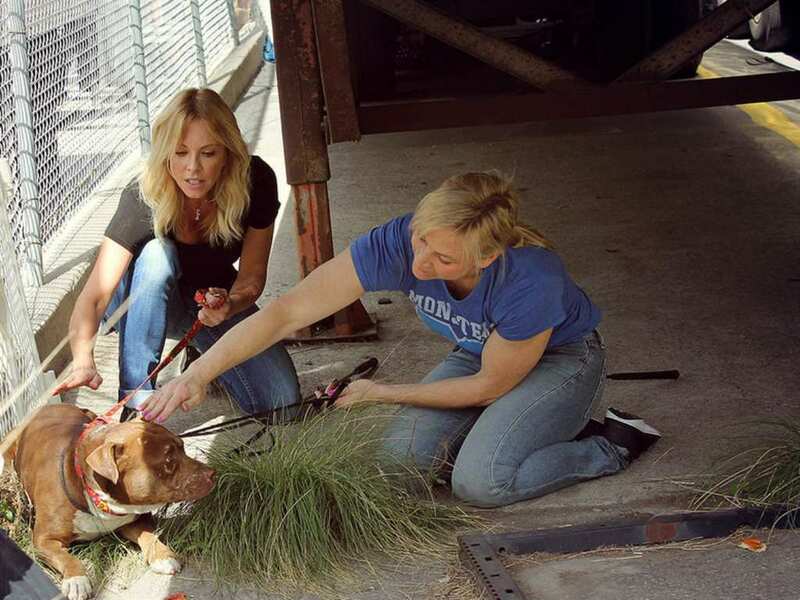 The organization’s main mission is to rescue, rehabilitate, and rehome homeless animals. What makes them particularly special is that they don’t discriminate based on breed or species, meaning all animals be they pit bull or bunny are welcome at their shelter. 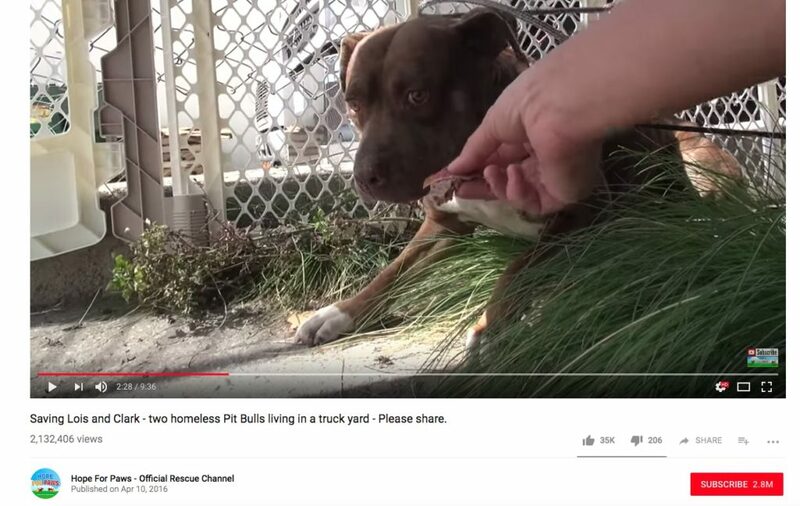 Eldad’s goal with his videos is that people will share them, and in doing so he can help find these dogs homes, and also raise awareness about the problems these animals face. But he never could have guessed how big this video would get! Lois and Clark’s story ended up going viral, and was viewed by people all over the world. The YouTube video alone has over two million views, and the posts about them on the organization’s Facebook have been shared by thousands. Lois and Clark’s story wasn’t just shared on social media, but it soon began to appear in other publications too. 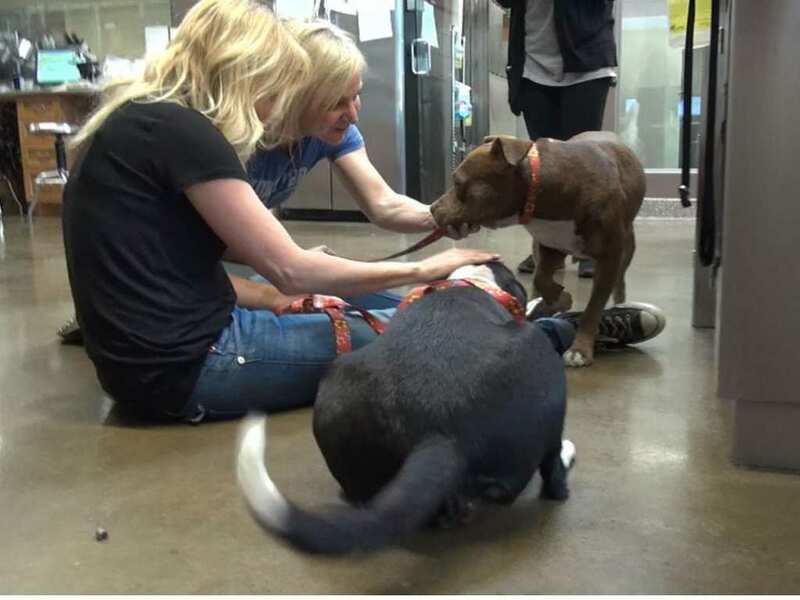 People just couldn’t get enough of these two dogs, and their rescue. The story appeared in publications such a Scribol, The Dodo, Holidog Times, Pawmygosh, and more. Not only was this a great way to publicize that these dogs were available for adoption, but it also helped bring lots of positive attention to Hope for Paws and the important work that Eldad is doing. The attention that Lois and Clark brought to Hope for Paws was good in several ways. Not only could it help speed up the adoption process, and make room for other dogs that are in need of a place in the shelter, but it also helped Eldad with another one of his goals. Eldad realized early on in his rescue work that many of the dogs and cats he rescues are injured or sick, and it’s up to him to pay their medical bills. So, in addition to sharing the stories of his rescues, he also asks for people to consider making small donations to him. Lois and Clark have definitely been through a lot together, so it’s understandable that they would want to be kept them together. 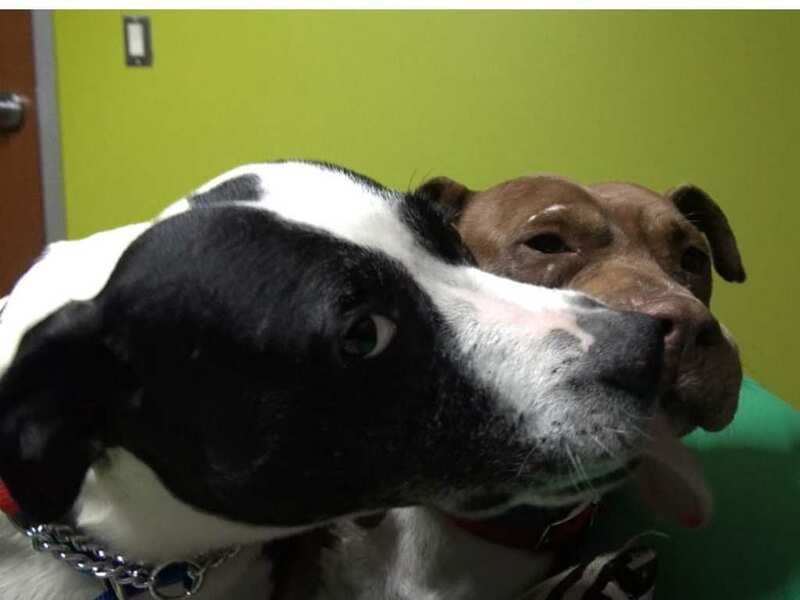 It appeared the pair had bonded, and when it comes to bonded dogs it’s usually not advisable to separate them because they can become anxious without each other. 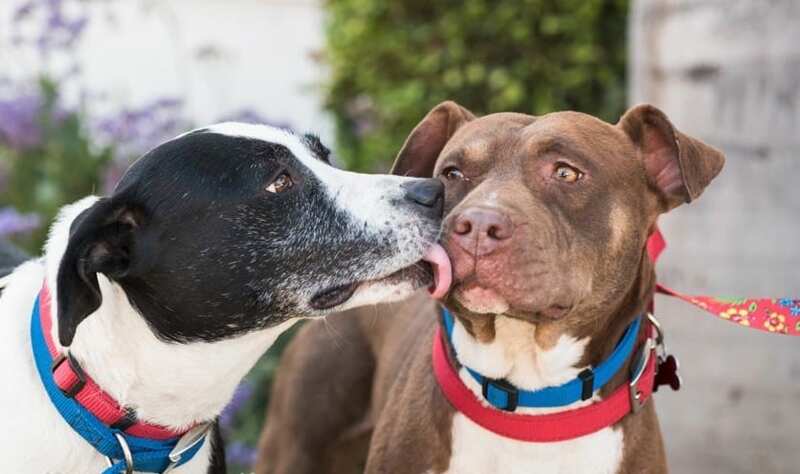 However, once Lois and Clark began to settle into their foster home and open up, the rescuers realized that while the dogs loved each other, it might be possible for them to each have their own home. 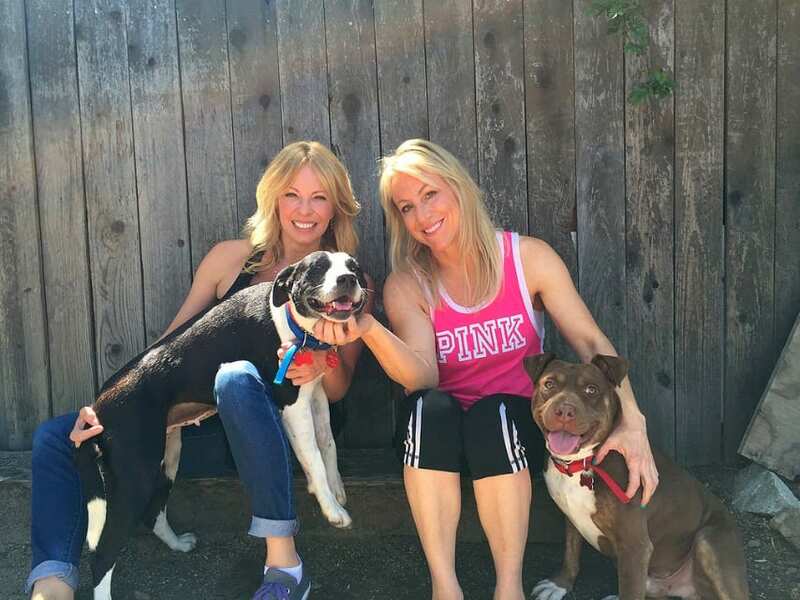 Many animal rescue organizations struggle with finding new homes for their animals, and it’s especially difficult when you are trying to adopt two dogs together. The goal was still to keep them together, but the most important thing was for them to have homes. 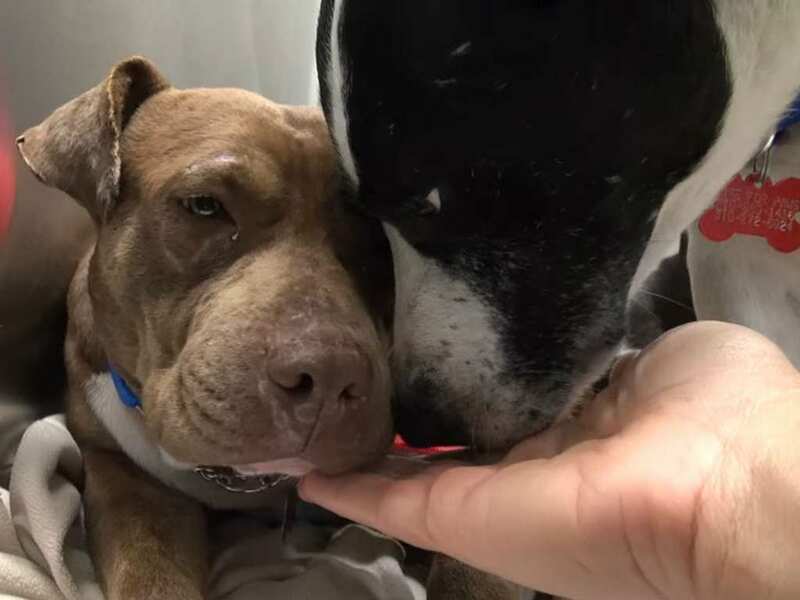 Lois was the more anxious one, so the organization decided that if someone wanted to adopt Lois alone they would have to have her go on a trial basis to make sure she was happy first. 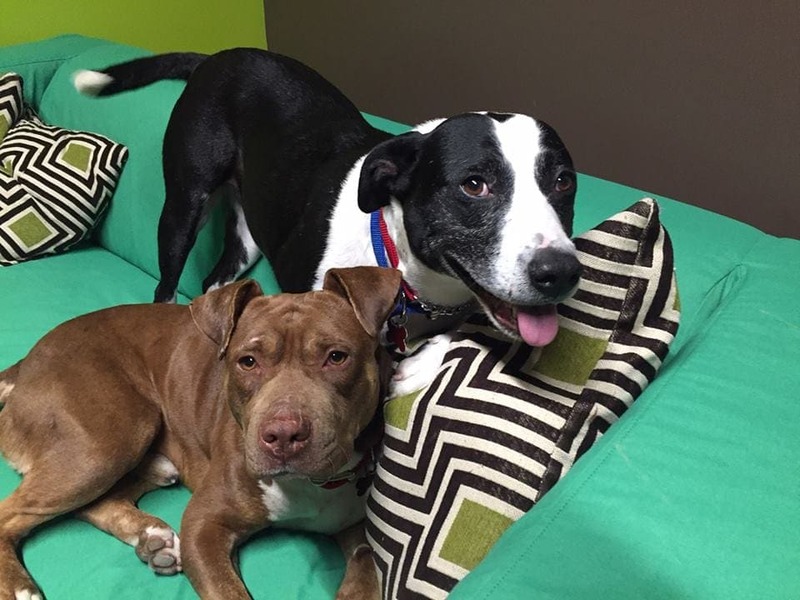 Luckily, Lois seems to have done well, and both her and Clark were able to find good homes. Lois and Clark’s rescue isn’t the only one from Hope for Paws to go viral. 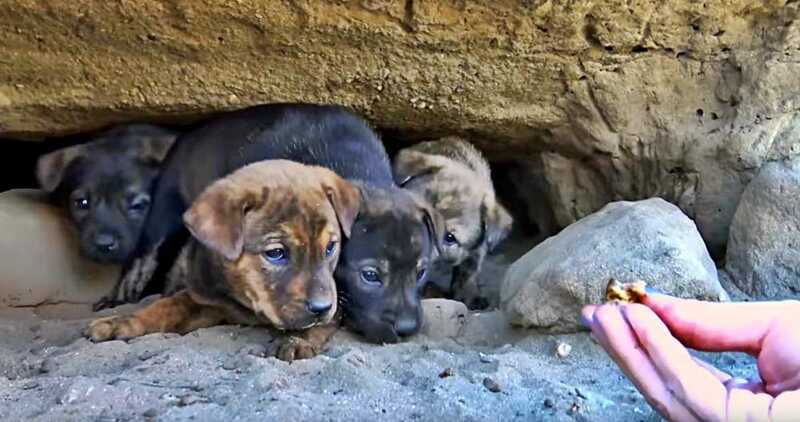 In March 2017, they had yet another dramatic rescue when they found a litter of puppies living in a cave. In order to get them out Eldad, with the help of his companions, had to crawl into the cave, and pull them out one at a time. There ended up being nine puppies total, and it was a rescue that last nearly seven and a half hours! It wasn’t easy, but it was all worth it when all the puppies were safe and sound. 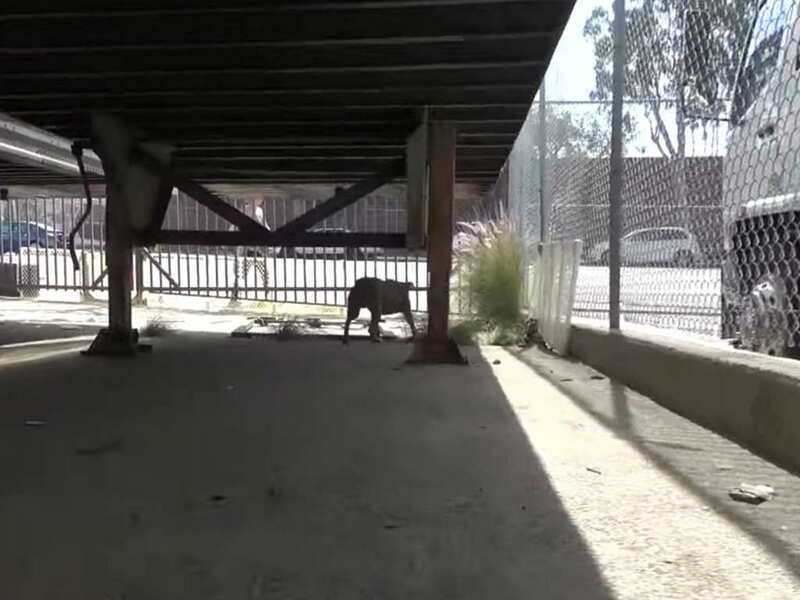 Recently, Eldad received a call about a pit bull roaming the streets of Los Angeles. He set out to find her, along with his colleague. 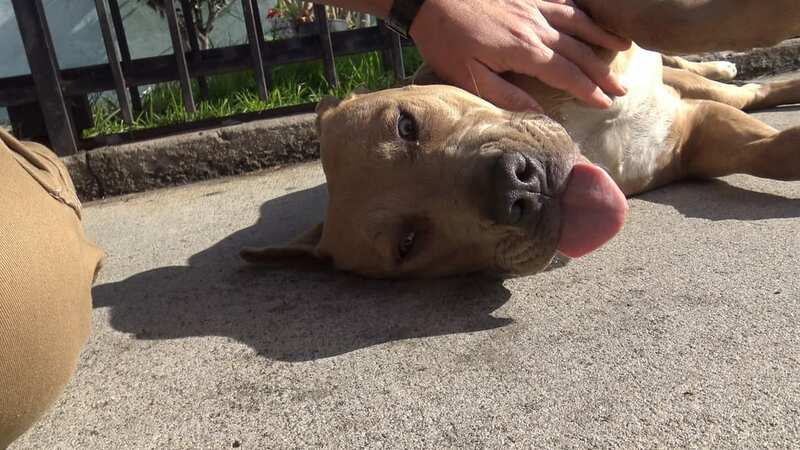 Rescuing a dog off the streets can be very dangerous and dramatic, but as soon as they saw this dog they knew it would be different. This dog, who they named Cinnamon, was more than happy to be rescued, and immediately came running to them when she saw their treats. Sadly, Cinnamon used to be happily living with a family, but when they moved they abandoned her and left her behind. She is now with the rescue and available for adoption. We love hearing these stories about dogs getting rescued, but many people can be left feeling helpless, and wondering what they can do to help. For Eldad and Hope for Paws, a lot of help comes from simply sharing his stories or donating to their cause. You can also volunteer at your local shelter or rescue organizations. And, of course, if you find yourself wanting a furry friend of your own, you can head down to your local shelter and adopt one from them. 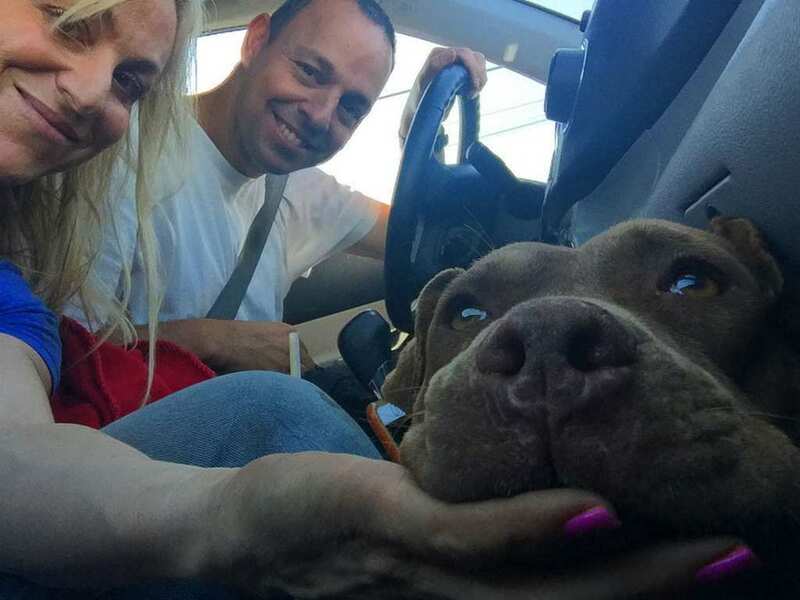 There’s no better feeling than helping an animal find its forever home.